Baltimore’s Chief Information Officer, who was escorted out of City Hall earlier this week, denied he was the subject of an investigation regarding “inappropriate contact” with female employees that was halted last September at the highest levels of city government. “I am unfamiliar with what you are referring to. I certainly have never spent any inappropriate time or done anything that would warrant such an accusation,” L. Jerome Mullen said in an interview yesterday. Mullen said he was not fired on Tuesday, but had resigned as director of the Mayor’s Office of Information Technology (MOIT) for personal reasons and to pursue future opportunities that would benefit himself and his family. His statement comes in contrast to the views of several employees (current and former) who said MOIT was immobilized by a “toxic environment” in part because Mullen spent so many hours locked in his office, with lights off, not interacting with or responding to his staff. “These were pretty serious issues,” said former City Solicitor George Nilson, who confirmed the employees’ accounts of the allegations under investigation. One of the operational outcomes of Mullen’s alleged lack of attention, the employees said, was MOIT’s failure to properly supervise 911 emergency calls from the public. This resulted in busy signals, dropped calls and frequent wrong addresses to first responders in 2014 and 2015. Following pressure from the Fire Department and City Council, 911 operations were shifted back to Fire and Police supervision. Other issues also piled up under Mullen’s watch. The Liquor Board, for example, blamed MOIT for not creating special license software for Horseshoe Casino. This resulted in a $76,000 undercharge to the casino that eventually was fixed. Mullen disputed these accounts, saying MOIT had “historic issues” that he battled and overcame during his three-year tenure as the agency’s leader. “I’ve done what I think to be a good job to stabilize the environment. I’m very proud of my service to the city,” he said. Complaints about Mullen’s management style have been bubbling up for more than a year. A wrongful termination complaint by a fired MOIT employee was reviewed by two members of Nilson’s law department in early 2016, but no formal action was taken. The Office of Inspector General then got involved when a staffer alleged in an email that in addition to “inappropriate conduct” by Mullen with female employees, computer equipment had disappeared from the office and time sheets were being falsified. But an odd thing happened to the OIG investigation. It came to an grinding halt. On September 13, then-mayor Stephanie Rawlings-Blake told the media that Robert H. Pearre III, the Inspector General, had resigned. 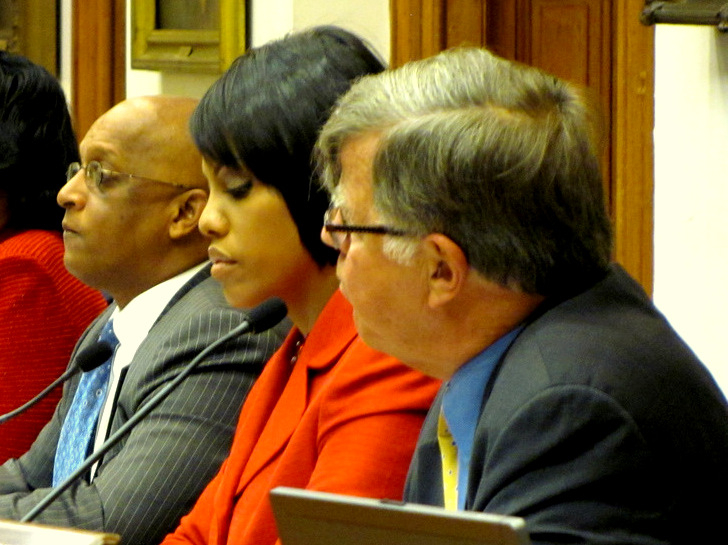 Rawlings-Blake said “personal and family issues” had prompted the inspector general to quit, effective immediately. Pearre’s previous boss, George Nilson, said he was “actually not so surprised” when he learned that Pearre had left his position. Nilson had been Baltimore’s City Solicitor, or top lawyer, between 2007 and August 23, 2016. He said he was well aware of Pearre’s investigation of MOIT. 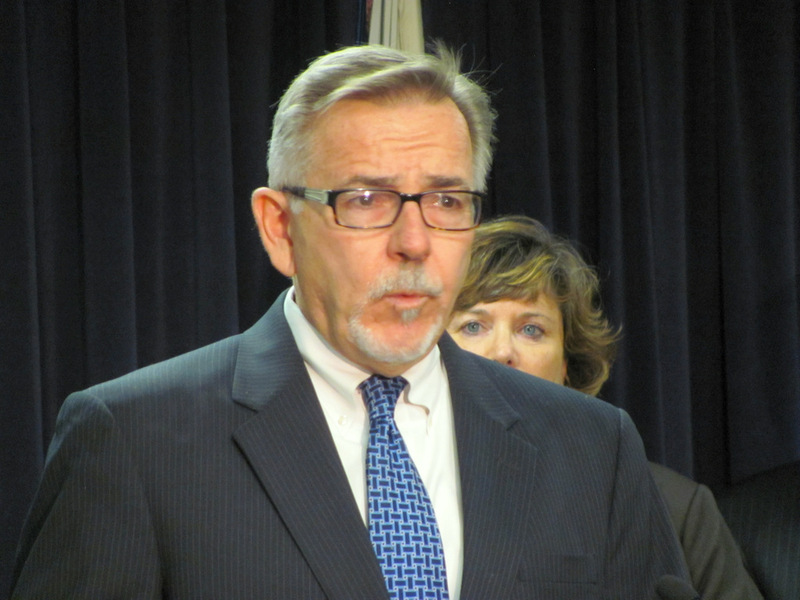 “On two separate occasions, Rob Pearre told me he was getting a very unusual amount of pushback from the second floor over his investigation of Mr. Mullen,” Nilson said in an interview this week. Asked specifically who was “pushing back” on the “second floor” (or the mayor’s office), Nilson said that given that chief of staff Kaliope Parthemos was vacationing in Greece, “that pushback, I’m sure, came from Kim Morton,” the mayor’s deputy chief of staff. Despite the pushback, Pearre told Nilson was determined to press ahead with the investigation. “It was Rob’s view that the investigation should continue and that it was not reflecting well on Mullen,” Nilson said. Nilson described one angle that Pearre was investigating. On August 17, Nilson was notified that he would be relieved of his duties as city solicitor. “Neither the mayor nor any of her staff gave me any reason for my termination other than the presumed reason that is related to the Glen Allen situation” or the law department’s hiring of an attorney with neo-Nazi ties that the mayor reportedly found embarrassing. Nilson said there were other frictions between himself and the second floor. Following his dismissal as solicitor, Nilson said, the mayor’s office was free to seek Pearre’s resignation. This it did, he said, under the ruse that it was a matter of personal choice by the inspector general. Kim Morton met with Pierre shortly before the mayor made her announcement on September 13, “and sought and obtained his resignation,” Nilson said. Now an aide to Mayor Catherine Pugh, Morton did not respond to an email request for comment. Multiple attempts by The Brew to reach Pearre by phone and text messages also failed. According to a person with deep knowledge of the Mullen case, the Rawlings-Blake administration feared that a public airing of Pearre’s findings would cast the mayor in poor light. Rawlings-Blake has not responded to The Brew‘s queries about the matter. Mullen’s leadership of the office came on the heels of rapid turnover at MOIT. Rawlings-Blake’s two previous CIOs, Rico Singleton and Christopher Tonjes, were forced out of their positions. 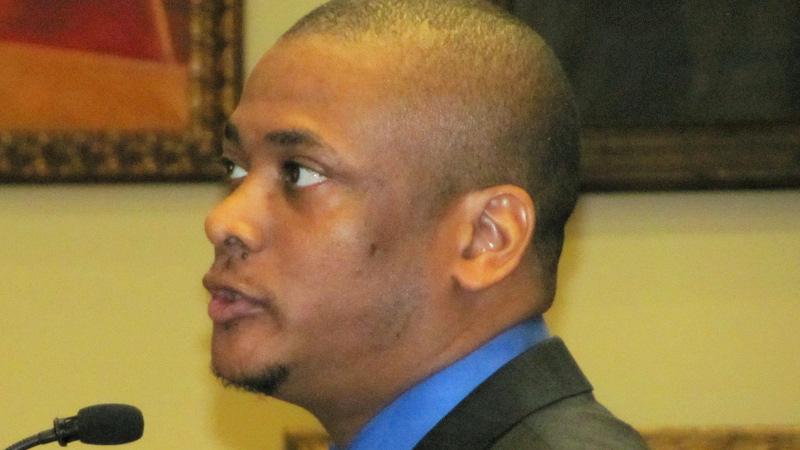 Singleton resigned after an audit revealed that he had set up a job for his girlfriend when he worked for New York State. Tonjes was accused, and later cleared, of financial impropriety. An IT staffing operator, Twyla Garrett, pleaded guilty to misusing Tonjes’ name in emails in an attempt to cover up overbilling MOIT by $165,000. A high school graduate who had worked at the Pentagon and several small companies, Mullen was hired by Singleton as director of infrastructure in 2011. In November 2014, Mullen was appointed MOIT director and Chief Information Officer by Rawlings-Blake. His appointment caused a stir in some circles because no national search was conducted for the position, which pays $163,000 and – supervising a $25 million yearly budget – is responsible for directing and modernizing IT services in city government. He called allegations that he locked himself in his office and interacted inappropriately with female employees false and malicious. A different scenario played out for Mullen as the new administration of Mayor Pugh grappled with reports of disarray at MOIT. The mayor’s office received a letter from Leana Wen, commissioner of the Health Department, saying that Mullen had failed to follow through on the computer needs of her agency. Yet another complaint about Mullen’s personal conduct was filed by an employee, The Brew learned. By one account, what caused the most annoyance in the Pugh administration was the “Open Baltimore” website administered by MOIT. The site did not include the new mayor’s name and photograph. Kim Morton recently questioned Mullen and MOIT deputy director, Evette M. Munro, about the omission. “Jerome said he didn’t know about it. That it was done without his knowledge. But City Hall was a little upset,” said one source with knowledge of the matter. On Tuesday, Morton told Mullen to resign immediately. As he left City Hall, at a hastily-called meeting at MOIT headquarters across Fayette Street, staff was informed that Munro would become the acting CIO and agency director. He told The Brew that he was unaware of an IG investigation and had always acted ethically and in the best interests of the city.